It’s time to get started on all that holiday shopping for loved ones and friends! 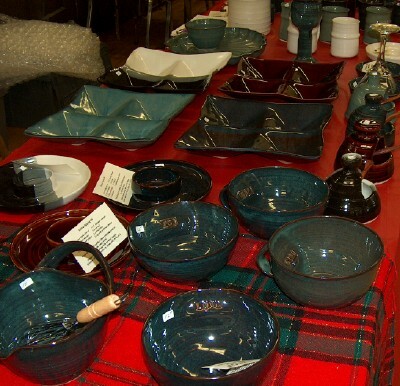 Some customers began by attending our recent Christmas Evening. Christmas hat from "Wendy Standish soap etc." We at Makers’ Market wish everyone a very Happy Easter Day! Because this Friday, April 2, 2010, is Good Friday, there will be no Makers’ Market nor outdoor Farmers’ Market on that day. 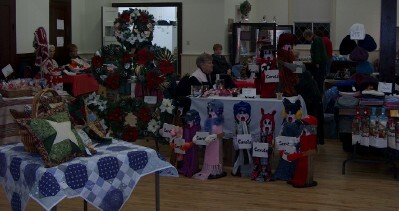 The good news is that these two markets will be instead held on Thursday, April 1, 2010. Not only is Makers’ Market on Thursday this week, but we are changing back to our summer hours of 8 a.m. to 1 p.m. We hope to see you then! Several of our booths are looking decidedly spring-like lately. 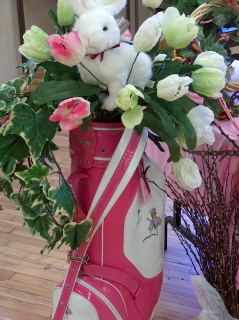 Last Friday Yesteryear had a very Easter-ish golf bag arrangement, complete with bunny. Joyce tells me that all the embellishments can easily be removed and this pink bag is very usable. It even includes some clubs! 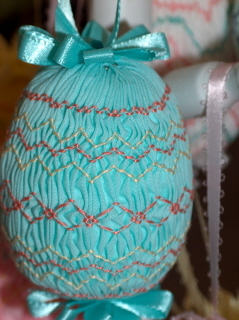 Smock-It has something very different – smocked Easter egg decorations in various colours. Of course they also have lovely Easter dresses for that special little girl. 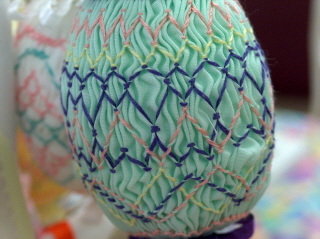 Uniquely different - a smocked Easter egg! 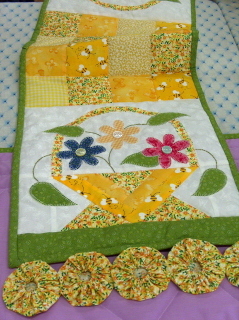 Our quilting lady is currently displaying some delightful spring designs to dress up your home. 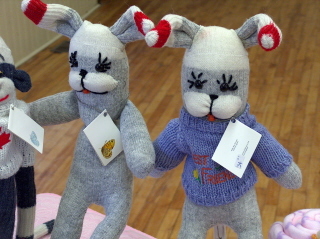 Be sure to have a look at the sock bunnies on Fleurette’s table. They’re adorable! There’s lots more to see, and now with our extended summer hours, more time to see it all!